Mark Stewart is back again, and this time he brings even more friends. Here we have two heavyweight champions of the underground – Pinch and JD Twitch – offering up deliciously moody interpretations of the Mark Stewart vs Primal Scream brand new single ‘Autonomia’. The mighty Bristol dubstep veteran Pinch loads up on dark and brooding, with a stripped and dubby Shackleton-esque interpretation. Meanwhile, JD Twitch, one half of Optimo, opts for a warped and slo-mo, acid-licked stomp – a consummate exhibition of his musical breath and knowledge. Autonomia’ will be released through Future Noise Music on February 20th, a dense agit-protest superfunk monster with sirens and Bobby Gillespie’s frenetic ‘keeping the dream alive‘ call-and-response chant with Stewart. 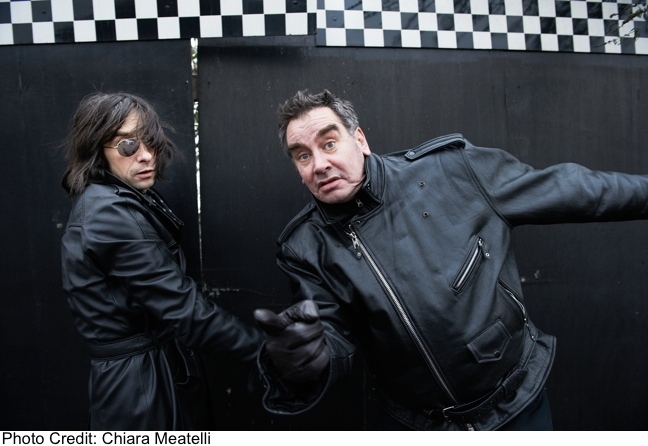 Stewart’s new album The Politics of Envy cages, consolidates and hotwires the rampant barrage of elements which have infused Mark Stewart’s work since his first band, The Pop Group blasted the post-punk landscape. The Politics of Envy is due outMarch 27th through Future Noise Music, and features a stellar cast, including cult film-maker Kenneth Anger, original Clash/PiL guitarist Keith Levene, NYC punk innovator Richard Hell, Lee ‘Scratch’ Perry, Gina Birch of the Raincoats, Slits bassist Tessa Pollitt, Jesus And Mary Chain bassist Douglas Hart, Factory Floor, Daddy G of Massive Attack and all of Primal Scream. This entry was posted on February 15, 2012 at 7:38 pm and is filed under News with tags Daddy G, Douglas Hart, Electronic, Factory Floor, Gina Birch, JD Twitch, Lee "Scratch" Perry, Listen, Pinch, Preview, Primal Scream, Richard Hell, Stream. You can follow any responses to this entry through the RSS 2.0 feed. You can leave a response, or trackback from your own site.